The Arkansas House on Monday approved Gov. Asa Hutchinson’s plan to raise more than $300 million a year for state highways with gambling-tax receipts, a fuel-tax increase, higher annual fees for some cars and a proposed constitutional amendment to permanently levy an existing half-percent sales tax. By a vote of 71-26, the state House of Representatives approved Senate Bill 336 by Sen. Terry Rice, R-Waldron, which would raise $95 million annually for state highways. The legislation, which already passed in the Senate, would levy a wholesale sales tax on gasoline and diesel fuel, increase registration fees on hybrid and electric vehicles, and transfer at least $35 million a year in casino revenue and other state funds to the Arkansas Department of Transportation. The House also approved House Joint Resolution 1018 by Rep. Jeff Wardlaw, R-Hermitage, to refer to the 2020 ballot a constitutional amendment that, if approved by the majority of voters, would permanently extend the state’s half-percent sales tax for road construction and maintenance, producing about $205 million annually for the state Transportation Department. The House’s 67-30 vote sends the resolution to the Senate for consideration. The half-percent sales tax was initially approved by voters in 2012, with a 10-year sunset clause, to pay off highway bonds and interest. The majority of dissent against both of the highway measures on Monday came from Republicans weary of voting in favor of tax increases. The votes came just weeks after the General Assembly voted to enact income-tax cuts for the state’s top earners — an annual revenue hit of about $97 million. Reps. Julie Mayberry, R-Hensley, and Stephen Meeks, R-Greenbrier, implored their colleagues to vote against HJR1018 because Arkansas already has some of the highest sales-tax rates in the U.S. They also noted that lawmakers promised voters in 2012 that the half-percent sales tax would be temporary. “Help us keep our word for once,” Meeks said. Rep. Mike Holcomb, R-Pine Bluff, stated on the House floor a point he’s made repeatedly: The plan isn’t perfect, but it’s a good first step. Holcomb was the House sponsor of SB336. Hutchinson in a statement urged the Senate to follow the House’s lead in referring a permanent extension of the half-percent sales tax to next year’s ballot. A joint resolution must be approved by both chambers but, unlike a bill, requires no action by the governor. If approved, the half-percent sales-tax extension would take effect July 1, 2023. It would raise about $205 million a year for the Transportation Department and about $44 million a year each for cities and counties, according to state forecasters’ projections. 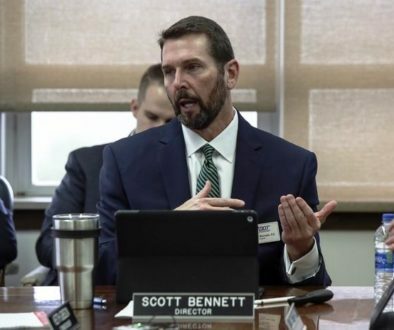 Sen. Lance Eads, R-Springdale, who is the Senate sponsor of HJR1018, said he plans to run the resolution through the Senate Committee on State Agencies and Governmental Affairs during a special meeting Wednesday afternoon with a possible vote on the Senate floor Thursday. Eads said the House vote margins on Monday were encouraging. 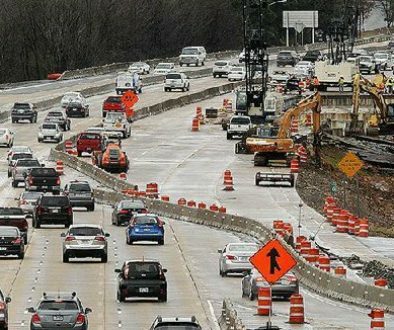 House Democrats robustly supported both highway measures, but House Minority Leader Charles Blake, D-Little Rock, said there was some hesitance in voting for the half-percent referral. Blake put the question to Richmond as he spoke in support of the resolution from the well on Monday. Richmond said the referral wouldn’t fool anyone. SB336 must clear one more procedural hurdle in the Senate before heading to Hutchinson for his signature. The House voted to amend the bill to remove Rep. Brandt Smith, R-Jonesboro, as a co-sponsor, although he voted for the measure on Monday. The new wholesale sales tax levied under SB336 would increase the tax on gas by 3 cents a gallon, to 24.5 cents a gallon, and the tax on diesel by 6 cents a gallon, to 28.5 cents a gallon. The bill proposes indexing the tax, meaning it would not increase by more than one-tenth of a percent a year, and the maximum increase would be 1 percent over a 10-year period. The wholesale tax would raise about $58 million more a year for highways and about $13 million more a year each for cities and counties. The last time the General Assembly increased fuel taxes was in 1999, when the gas tax was increased by 3 cents over a three-year period and the diesel tax was increased by 4 cents over a two-year period. SB336 also would increase registration fees for electric vehicles by $200 and for hybrid vehicles by $100 to raise about $1.9 million a year. That provision drew criticism from Meeks, who said it’s unfair to drivers of those vehicles and discourages the purchase of more energy-efficient cars. The last provision in the bill would guarantee at least $35 million a year to the Transportation Department by tapping into casino gaming-tax receipts. Arkansans last year approved Amendment 100 to the Arkansas Constitution, which allows for up to four full-fledged casinos to be opened in the state. If casino tax receipts fall below $35 million, SB336 proposes drawing funds from the state’s restricted reserve fund or other funds designated by the governor. The state Department of Finance and Administration expects casino tax revenue would provide $20.8 million to the Transportation Department in fiscal 2021 and ultimately $43.2 million in fiscal 2028. Holcomb said that casino revenue is expected to exceed $35 million in 2025. 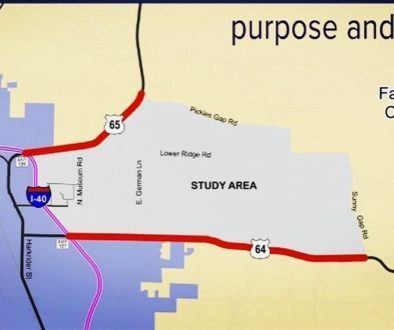 He added that the projection is based on expansions of Oaklawn Racing and Gaming in Hot Springs and Southland Gaming and Racing in West Memphis and the development of a casino in Jefferson County, but not in Pope County, as permitted by Amendment 100. 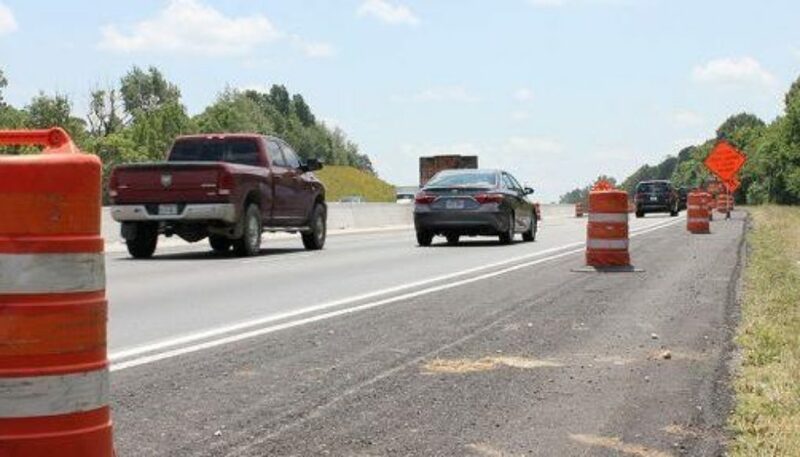 Legislators from both parties doubted before the legislative session that the General Assembly could build a consensus around a highway funding plan, which for years has eluded lawmakers. Richmond said he knew the bill was a compromise because everyone can find something in it that they hate. The vote on SB336 was held up for a meeting of the House Rules Committee. Mayberry challenged a ruling by House Speaker Matthew Shepherd, R-El Dorado, that the bill would require a simple majority of 51 votes for passage. The committee agreed with Shepherd. Shepherd said he was glad Monday’s vote was behind him. A delighted Hutchinson dropped by the state Capitol press room on Monday afternoon on his way out to get a haircut. “Happy with that highway vote today,” he said with a bright smile and a thumbs-up. Information for this article was contributed by John Moritz and Michael R. Wickline of the Arkansas Democrat-Gazette.